Extra-slim shelves with extra-large capacity. Holds bottles up to 12 cm wide. With 4 silicone bands in assorted colours (purple or light blue). With suction hook. Polytherm. "Frost" coated. With 4 silicone bands in assorted colours (purple or light blue). 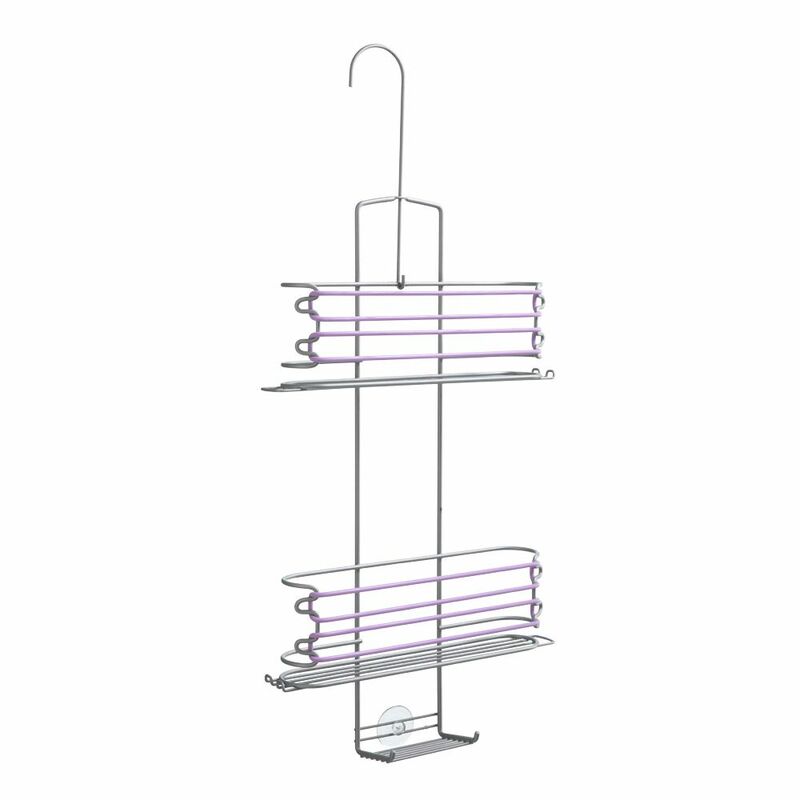 3 Tier Expandable Shower Caddy Extra-slim shelves with extra-large capacity. Holds bottles up to 12 cm wide. With 4 silicone bands in assorted colours (purple or light blue). With suction hook. Polytherm. "Frost" coated.